Six were taken. Eleven years later, five come back–with no idea of where they’ve been. With a hook like that, how can you not want to read this book? I had to know what happened to these kids whether it be alien abduction, black hole, spontaneous combustion – I needed to know. The Leaving alternates between three POVs – two of the returned kids and the sister of the one who didn’t. The bits and pieces that remain of the kids’ memories are revealed along the way, but no matter what kind of theories I created, I couldn’t have predicted the ending. This book points out how fascinating the mind is, how memories can be altered, retained, lost, etc., and how even though the conscious mind may not remember something, the memory might still be lurking in the subconscious. Despite being completely engrossed in the storyline, I had a little trouble buying into one of the relationships in this book – I won’t say between which two characters – because I find it difficult to believe anyone could form such a strong bond at a very young age. It just didn’t ring true for me. 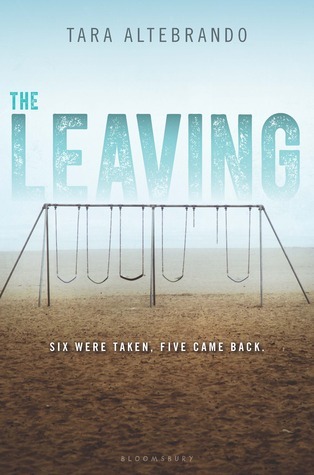 The Leaving is a gripping, dare-someone-to-pry-it-from-your-fingers, YA novel that would also appeal to adults. Highly recommended. This book is scheduled for publication June 7th, 2016. 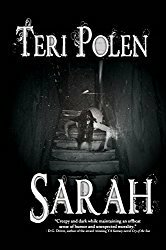 I received a digital ARC from the publisher through NetGalley in exchange for an honest review. Ooh, definitely want to read this now! I recieved an ARC from Bloomsbury themselves last week–I’ve got to finish the book I’m reading at the minute before I can jump into it though. I found it difficult to put down – think I read it in 1.5 days. Sounds like a book you just have to finish to know what happens. So many new and interesting books coming out! Which is why my TBR pile isn’t shrinking. Thanks! 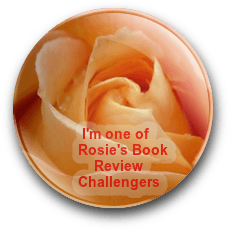 Hope you can still get it – captivating read.